CINCINNATI — Chelse always thought she’d be dead or incarcerated by the time she was 35. The 27-year-old has post-traumatic stress disorder, bipolar disorder and severe anxiety; she said things “spiraled” when someone close to her died by suicide in 2015. "The guy I was with at the time put a .45 in his mouth and pulled the trigger,” Chelse said. Methamphetamine use landed her in jail a few times, but an assessment allowed her to be a part of the Hamilton County Court of Common Pleas Mental Health Court, a program that she says saved her life. 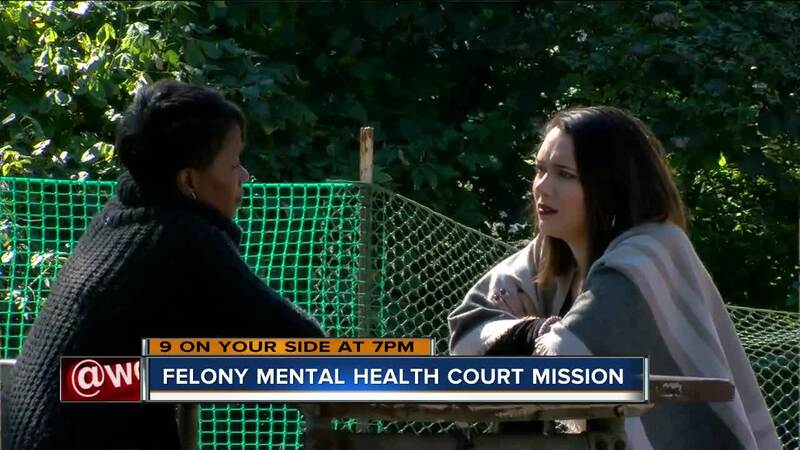 The roughly two-year program, which the Hamilton County court system runs with counseling and addiction services from Greater Cincinnati Behavioral Health, helps people with mental illness who are currently in the system. The program offers one-on-one psychiatric counseling and medication oversight to target mental illness. It requires regular drug tests and court appearances, and participants must have a diagnosis of severe mental illness, be charged with a felony (some charges are excluded) and have no history of serious or repetitive violence. Ohio had 19 state psychiatric hospitals in 1980, according to the Hamilton County Mental Health and Recovery Services Board. Now, the state has six, which means more people with mental disabilities end up in jails and prisons, according to members of the board. That’s one reason Hamilton County officials started mental health court -- to intercept men and women whose non-violent felony charges might be the result of mental illness. About 120 people have graduated from the program in 10 years. Of those people, 10 percent incurred a felony or misdemeanor. Fewer- than 5 percent returned to prison. Fred Baxter, manager of the mental health court program, said some people use drugs to balance their mood or “make the voices go away.” For a person with mental health issues, the cycle of using, getting caught and going to jail can seem like a revolving door. Nearly 88 percent of the people who are on the mental health court docket have a co-occuring substance use disorder. “Many times, incarceration and prison are not the answer -- but treatment is,” Baxter said. Maj. Chris Ketteman said the Hamilton County Justice Center typically has about 400 people a day who are in treatment. “Let's face it, our justice center has become one of the largest mental health facilities in Hamilton County,” Ketteman said. It costs about $71 a day to keep a person in jail -- that does not include the cost of mental health treatment, which the county’s indigent care levy covers. Brooke Lipscomb, a felony mental health court liaison, makes sure people who are enrolled in the program stay on track. She also recruits people in jail who might qualify for the program. Mental illness and substance use disorders can go hand-in-hand. Of the 20 million adults who had substance use disorders in 2016, 50 percent also had some form of mental illness, according to the National Alliance on Mental Illness. But Lipscomb says mental health court helps people have someone they can trust when they’re in the dark. “Our judges are so forgiving … they understand relapse is a part of recovery,” Lipscomb said. Chelse was charged with aggravated trafficking while she was in mental health court, but Judge Tom Heekin and Lipscomb didn’t give up on her. That network of support helped her achieve sobriety. “There wasn't room to wiggle on anything,” Chelse said. Chelse said the program enabled her to form better habits, all while getting counseling and staying on medication. “I mean it's hard, nothing about this program is easy ... you're changing everything in your life, from the people you know to the things you do,” Chelse said. Chelse said she wouldn’t have completed the program without Lipscomb’s help. 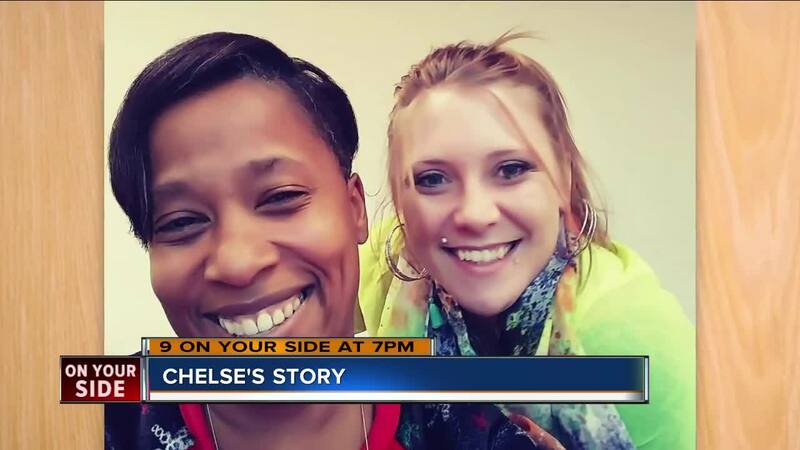 “She's been like a mother figure in so many ways ... she stayed on me and she always told me the best advice I could give you is, ‘don't screw it up,’” Chelse said. Chelse’s fiance recently overdosed, but she didn’t turn to drugs to cope. Part of why she won’t go back to using is because she doesn’t want to let down the people who spent so much time helping her get to the start of the rest of her life. Chelse has a job now, and she finds joy in her friends, her dog and good food. Lipscomb agrees that seeing someone complete the program is worth the tears and hour long phone calls. Central Clinic's Mental Health Access Point, which can be a first point of contact for questions or appointments. Anyone can call 558-8888 at any hour of the day. Mobile Crisis, which can perform a welfare check on someone who may be in danger of harming themselves. Call 584-5098. 281-CARE is another 24-hour hotline operated by Talbert House. Real-Time Editor Abby Anstead contributed to this report.